While the development of ice cream seems to have come to a halt with the fall of the Roman Empire, China, and the Orient instead step forward as the Historically Earliest Champions of Ice Cream. How come? While it seems clear that mankind has been able to mix snow and ice with different appealing flavours since the beginning of our history, one might argue that these “ices” do not really qualify as “ice cream”. Even if less stringent criteria are applied, it could also be argued that the label “real” ice cream-making only should be awareded where the manufacturer has found a way of actually controlling the freezing process – relying solely on nature’s own ice and snow for the freezing would thus not really count, leaving the earlier centuries out of the contest). So, to put it differently – when and where did mankind begin to control the freezing process? Many believe that it happened in Ancient China. 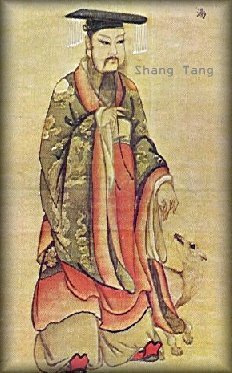 Emperor Cheng Tang, founder of the Shang Dynasty. Was he possibly one of the first to taste a close pre-cursor to the ice cream of our days? According to the world-famous explorer Marco Polo, coming back from his years of travels in China in 1254 (and yes, most researchers nowadays believe that he actually did visit China) the Chinese had mastered a process whereby they managed to freeze ice cream by using salt and salpeter (nitre) to lower the freezing point of ice. While it may be debatable whether Marco Polo really introduced the methods for making ice cream from China to Europe, there were other channels whereby that information could have travelled from East to West. The ancient techniques of flavoured ices from China, the now fallen Roman empire and other Eastern regions such as Persia are, however, believed to have been assembled mainly in the Arab world. Further improvements and refinements to the processes used were made (such as using sugar instead of fruit juices for sweetener). 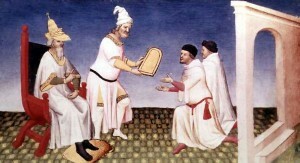 Even without Marco Polo – often credited with bringing the knowledge of the Chinese techniques to Italy – it seems clear that news about ice cream must have travelled to Europe from the Arab world also via a number of other sources. And no, not all of these sources were necessarily long-travelling crusaders or merchants. 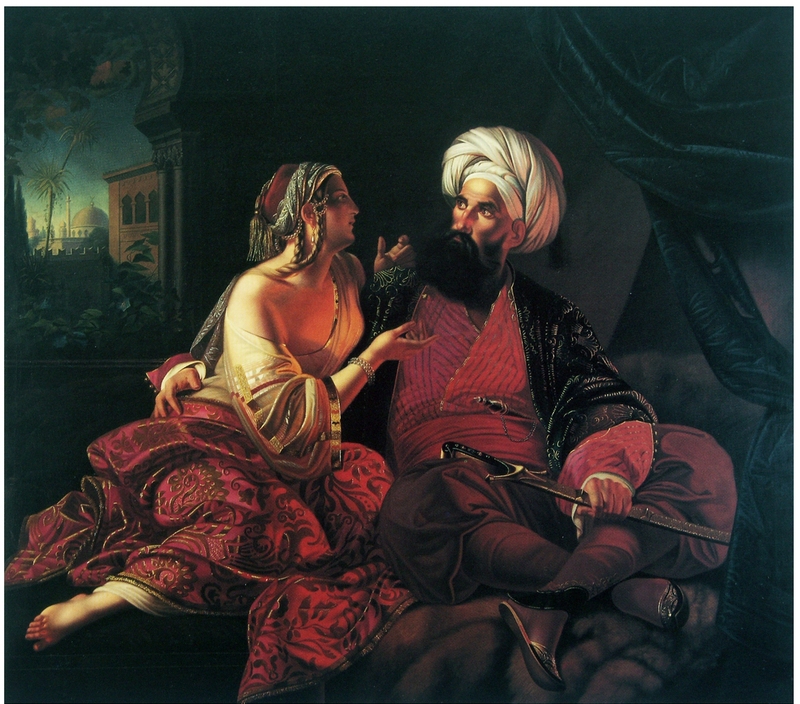 Sicily itself was actually an Islamic Emirate during the years 965 to 1072, so in a sense the ‘oriental traditions’ may have bloomed on European soil in their very own right. – Darling, could you ask for some [precursory] ice cream? The origins of the ice cream we know today are believed to have first emerged in Italy. In view of the strong Arabic influences there, drawing upon the ancient iced traditions of Rome, of China as well as of others, this does not appear too surprising. Exactly how these early Italians did go about in order to freeze their ice cream base mixtures is not known, though (assuming that they actually did manage to do it, that is). Strangely enough, it apparently took the Europeans until about 1559 to establish the method whereby a freezing effect was created by using ice and salt – the technical precondition for ice cream-making of a more modern type. The secrets of these early illustrious Italian ice cream chefs are then supposed to have charmed – first and foremost – the royal courts of other European countries, starting with France. 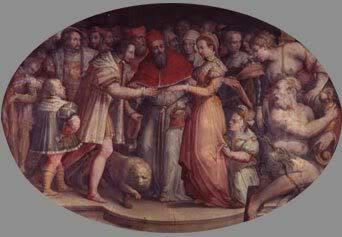 According to a widespread but probably apocryphal story, the distribution of knowledge is even pinpointed to a specific historical event – the marriage in 1533 between Catherine de Medici from Florence and the future king Henri II of France. According to the story, Catherine de Medici brought with her quite a number of cooking-savvy servants on her journey from Florence to France. While some claim this to be the true origins of the world-renowned French cooking, ice cream buffs tend to focus on the ice cream skills attributed to the legendary former chicken farmer and dessert chef Ruggerio. The Ice cream master apparent of his times, he is accredited with having served a different flavoured ice every day to the enchanted guests during the month-long wedding celebration. Did Catherine de Medici’s cooking-entourage really bring the knowledge of Italian ice cream making to France? It is doubtful, but makes for an exciting story!